This page contains images for the DVD Beware! 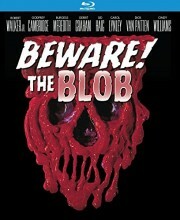 The Blob (1972) aka Son of Blob [Blu-ray]. Click here to view more images for this movie.